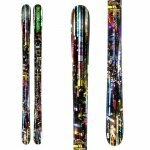 Armada Bantam has a soft flex, tight turn radius, and a composite core. Armada Coda is the big brother to the Bantam. 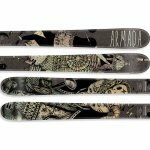 Armada Makai is a wood core and positive camber ski.